“We have left everything behind and come to India from Nepal with one aim: take back our son healthy at any cost. He has been fighting acute blood cancer bravely for more than 2 years now. But his body is giving up now. 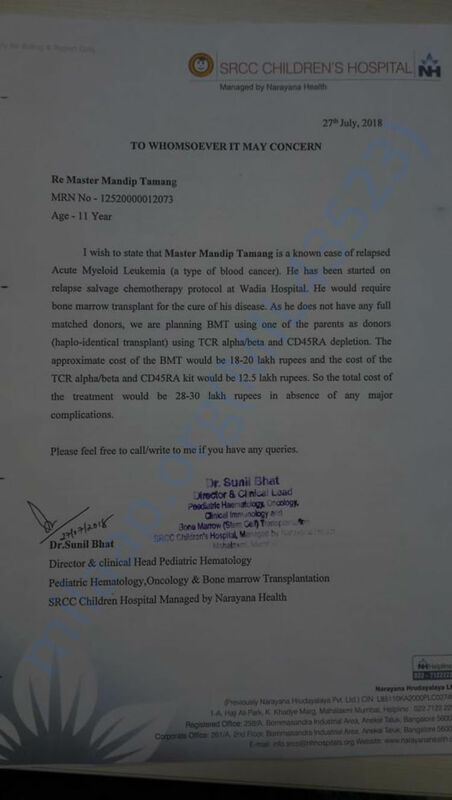 Without an urgent bone marrow transplant, he will die. I am a poor daily wager who has been jobless ever since his treatment started. We are left with no more financial options and are are desperate for help.”-Bhaikishan Tamang, father of 11-year-old Mandip Tamang. In March 2016, Mandip had gone to visit extended family with his parents in a remote village in Nepal. He was playing football with cousins when he fainted all of a sudden. He even developed a high fever in the next few hours. He was rushed to the nearest hospital immediately, where a comprehensive blood test led the doctors to suspect cancer. But they were not sure and urged Bhaikishan to take his son to a better hospital. “The doctors in Nepal only told us that it may be cancer. We were scared nevertheless. Nobody in our family had faced this prospect before. He was so healthy – we couldn’t believe how a vibrant little boy like him would have something so deadly as cancer. 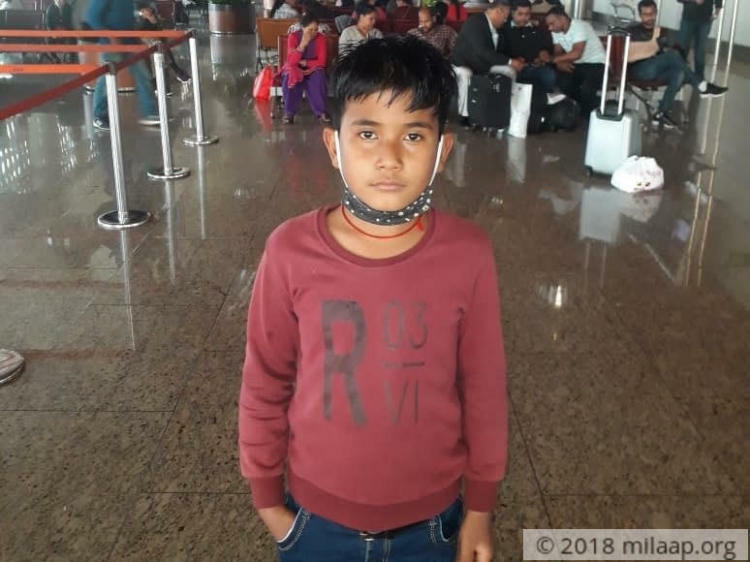 I took him to Kathmandu within the next few days and there it was confirmed that he had blood cancer and needed to be started on chemo immediately.”-Bhaikishan. Though Mandip’s chemo had been in progress in Kathmandu, his father was not very convinced about it. His son had been growing weaker and in his heart he believed that only a trip to India can solve his problems. He had heard from relatives and friends that India was a good health destination. The fact that Bhaikishan’s sister also worked as a babysitter in Mumbai helped his cause. 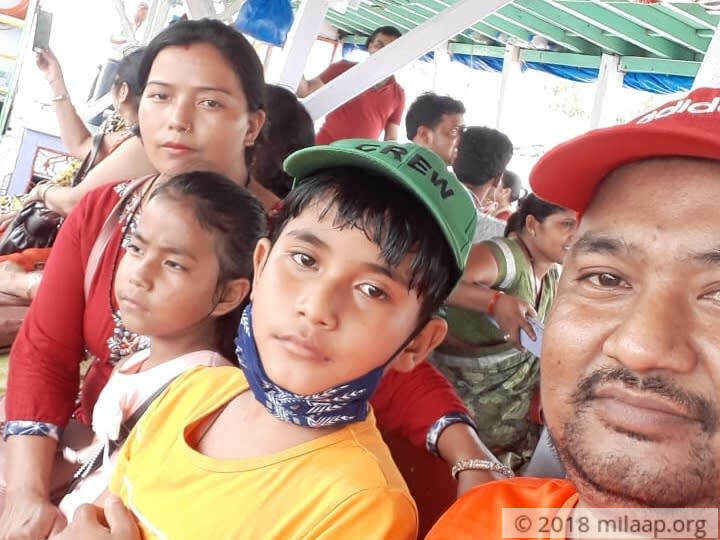 He temporarily resigned from his job as a daily wage worker in a brick factory and took his sick son to Mumbai, leaving his wife and younger daughter behind. “I got Mandip admitted to a hospital in India that specialized in cancer care. I sold my ancestral property that I had and used up all my savings. When even those were depleted, I borrowed money from friends to keep his treatment in full-swing. Even when Mandip would wince in pain from the needles and strong medicines, he would beg me everyday to take him back home. He desperately wants to go back to school and be a footballer when he grows up. I don't know if he will be able to do that ever.”-Bhaikishan. Less than a year after Mandip’s chemo began, a test showed that his cancer had gone away for good. Bhaikishan couldn’t believe it – his efforts to keep the treatment going at any cost had finally paid off. The father-son duo went back to Nepal with hopes of forgetting their grief and starting life all over again. But as fate would have it, a follow-up test in May 2018 revealed that his cancer had relapsed. This time, the whole family came to India to support Mandip in this tough period. “We had just started a new life. Mandip was doing so well at school. There was always a smile on his face – my poor boy even told me once how happy he is away from hospitals and medicines. When we heard his cancer had come back, we felt defeated. I cannot explain the helplessness I feel as a mother who can only watch her son go through the same painful cycle all over again.”-Manju, mother, with tears in her eyes. “The doctors have told us that his cancer is more dangerous and advanced this time. His blood levels are dipping. There is no way he can survive this nightmare with chemotherapy alone. If he gets the transplant, he will be able to become healthy and normal again. He will be able to study and chase his dreams. But we are running out of time and funds to save our son. We are stranded in a strange city without money or help ”-Bhaikishan. 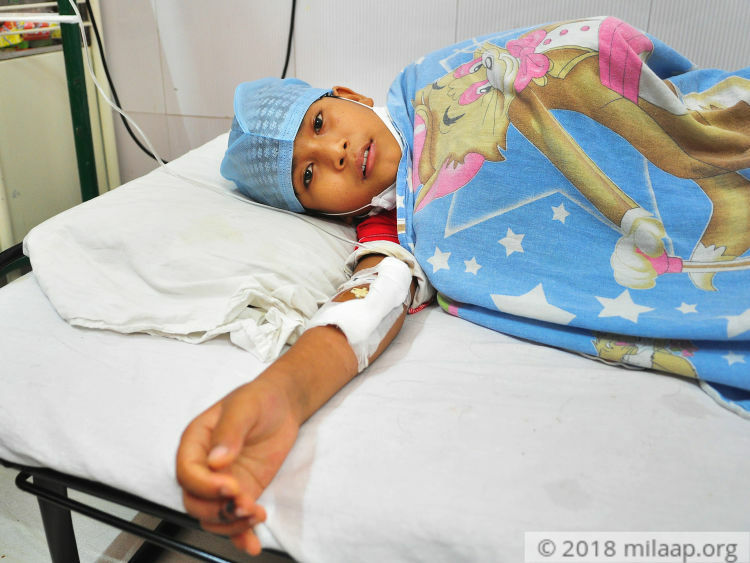 11-year-old Mandip has been suffering from acute blood cancer for more than two years now. He was believed to have been rid of the disease last year, but it came back with full force recently. Chemotherapy cannot help him like before as his disease has progressed dangerously. He is at the brink of death and only a bone marrow transplant can save him. His poor father had left his job as a daily wage worker to get him treated. Money was always a problem for this family, but they are more desperate than ever for it now. Cancer is weakening him and pushing him closer to death. His parents need your help to save him.